Evod clear Rebuildable Clearomizers use a replaceable atomizer coil head that can be replaced, just by itself, with out changing the base. 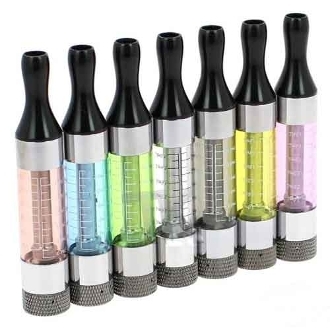 The evod clearomizer has a Liquid capacity of about 3ml. The body of the evod has a view port allowing the user to see the remaining e liquid left. These evod clearomizers are designed to work with all of the ego batteries, especially the eGo v batteries.